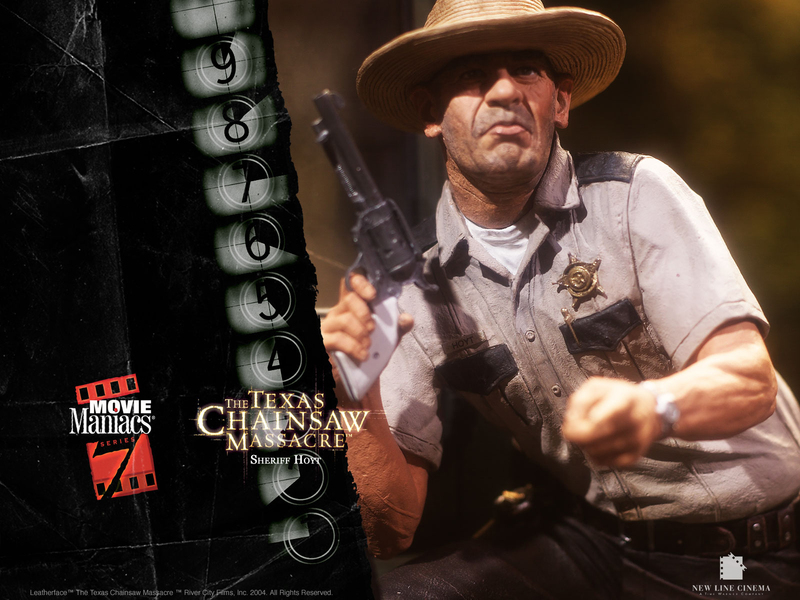 Height: 7 1/4 inches tall on base. 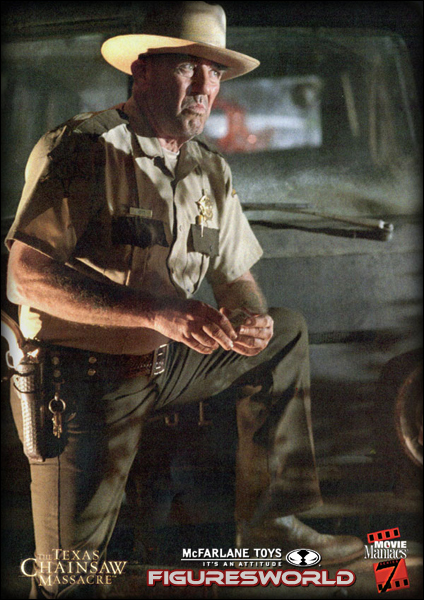 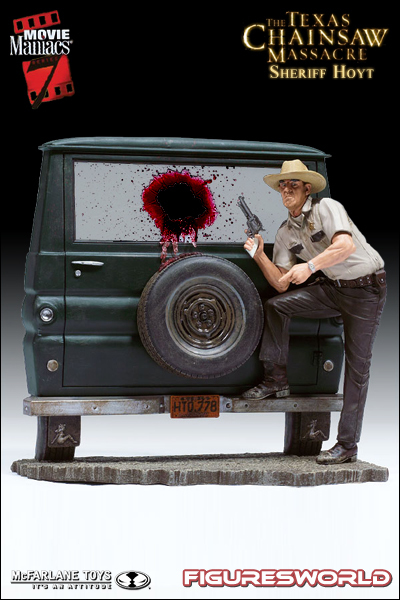 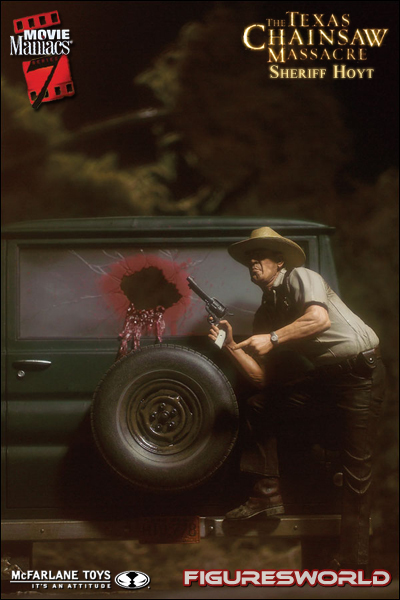 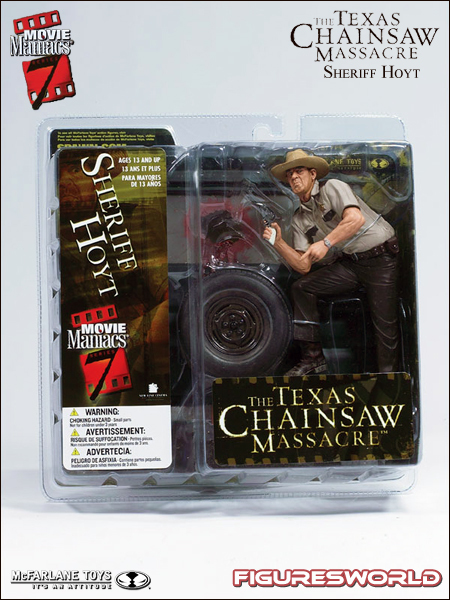 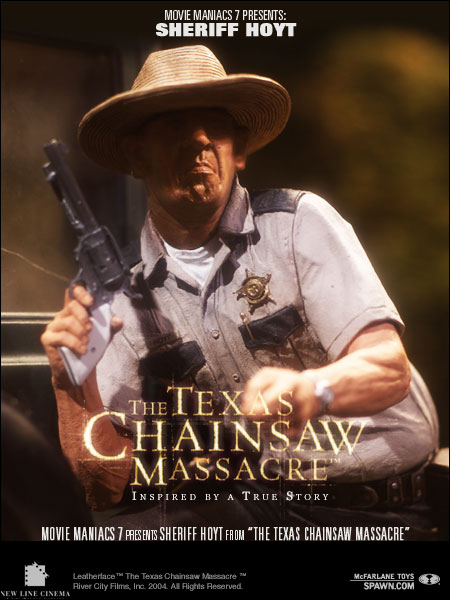 Accessories: The other psychotic "star" of The Texas Chainsaw Massacre comes with a two-part van base that assembles to re-create a key scene from the film. 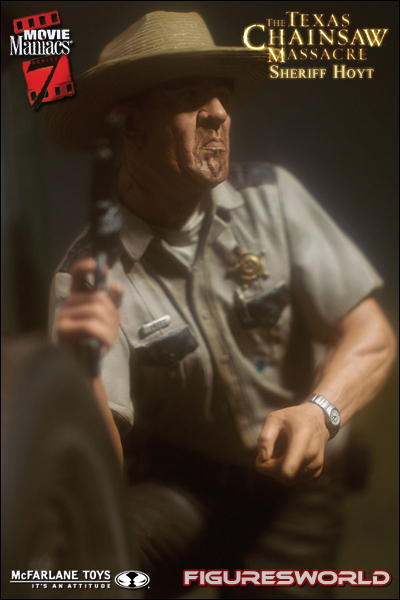 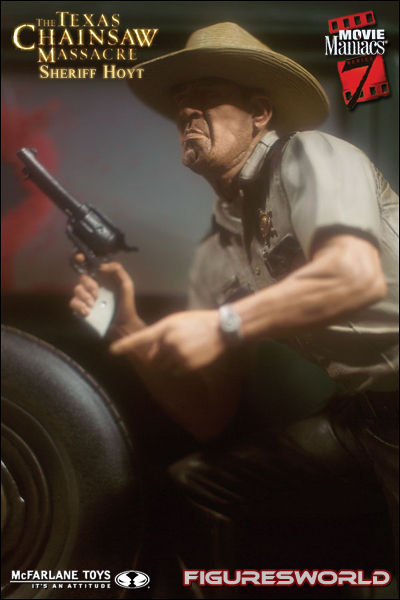 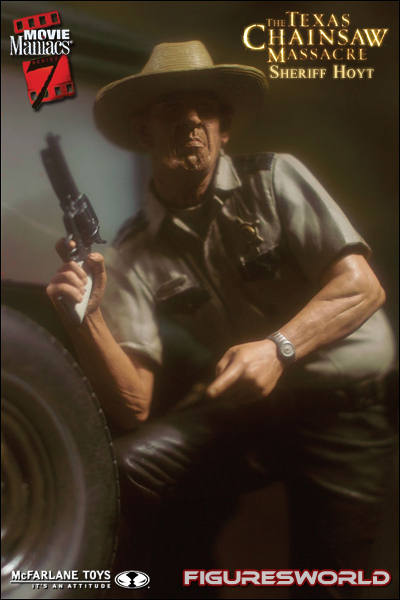 Fully detailed action figure includes handgun and full sheriff’s uniform.